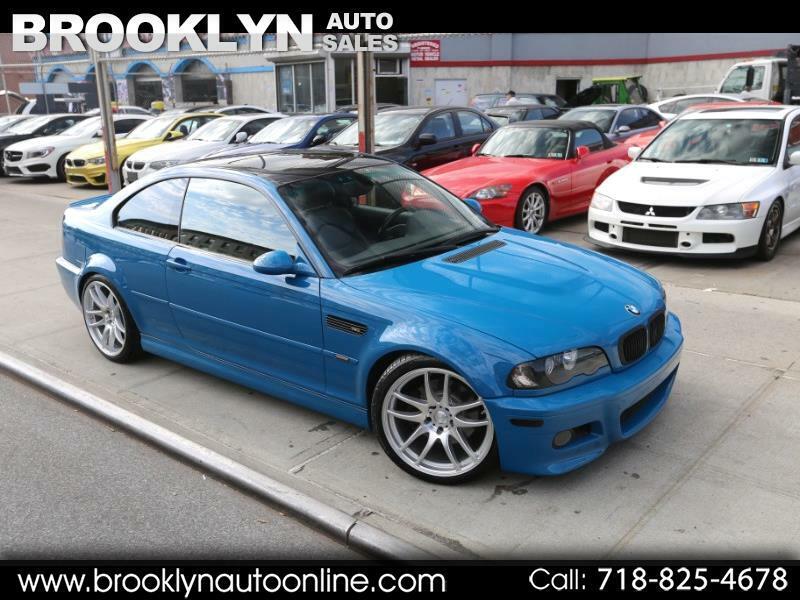 Call : 718-825-4678 / For Sale is this nice 2003 BMW M3 Coupe with a 6 Speed Manual gearbox. The car was painted in Laguna Seca Blue and it looks amazing. Car has 123k Miles and comes with a CLEAR TITLE. We have installed a BRAND NEW OEM SUBFRAME (2 SECTIONS) on this car ! Runs and Drives great and is priced to sell quickly! Message: Thought you might be interested in this 2003 BMW M3.